For technical support first refer to the help screen in the application and our Support page with answers to FAQ's. If you still cannot resolve the issue contact us at: techsupport@captionsmadeeasy.com For activation of licenses first try online activation by entering your Activation code and pressing the Activation button. If this fails we suggest you first wait 15 minutes and then try again. 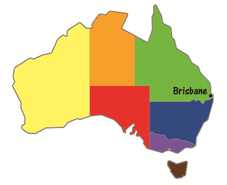 CaptionsMadeEasy software is produced in Brisbane, Australia. Our time zone is GMT+10. Please contact us with any enquiries via the most appropriate email address above.